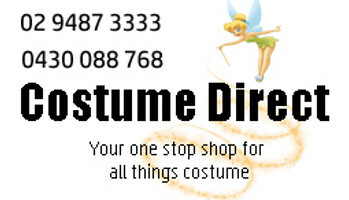 Costume Direct has the best International and Around the World costumes with fast shipping from Sydney, Australia! International themed costumes for globetrotters of any age! With a huge variety of international costumes available to purchase, including national outfits, traditional foods and accessories, there are lots of options to choose for your next fancy dress party for 'Around the World' themes! We've got them all: Lederhosen, Arabian Costumes and even the Statue of Liberty! Think outside the box when it comes to international costumes, school play productions and a huge array of costume party themes with the help of CostumeDirect.com.au!